Actress Asin who was been a popular heroine in South uring late 2000. Later she went to bollywood and did Hindi movies. The actress is to enter into the wedlock now. Yes she is all set to marry Micromax founder and CEO, Rahul Sharma. It is said that B’town actor Akshay Kumar introduced Asin to Rahul, when he was a brand ambassador to Micromax. Looks like, Things have happened at a common party. 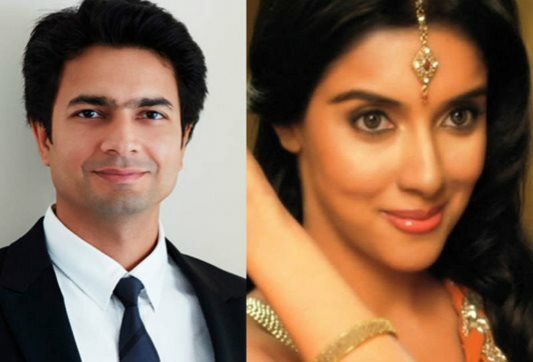 Asin to Marry Micromax owner Rahul Sharma . Reports added that Asin and Rahul developed a liking for each other since the first meet and fell in love. Also Asin’s next film All is Well has actually delayed the wedding announcement. Else their wedding would have happened before a year ago. Actress asin, a Malayali by origin, made her Tamil film debut in M Kumaran S/O Mahalakshmi. She delivered many hit films including Ghanjini, Sivakasi, Pokkiri and Dasavatharam. It was just a short while ago that movie buffs went into a state of frenzy when Asin revealed that she would soon tie the knot with close friend Rahul Sharma and bid goodbye to the film industry. This is perhaps the first time that the star has made a concrete statement regarding her personal life. Here is a closer look at how Asin met her ‘prince charming’. Rahul Sharma is currently based in New Delhi. According to rumours he has been friends with the ‘Ready’ actress for quite a few years. Interestingly, Rahul first met Asin through none other than her ‘Khiladi 786’ co-star Akshay Kumar. Akshay Kumar and his wife Twinkle Khanna were the first ambassadors of Rahul’s company. The marriage will take place as soon as Asin wraps up her pending projects. She will soon be seen opposite Abhishek Bachchan in ‘All is Well’. On her way out of the industry, Asin stopped taking up new projects nearly two years ago. Once Asin quits, she will be sorely missed. During her short career she has acted in Tamil, Telugu, Malayalam and Hindi films. Furthermore, the actress has worked with some of the biggest names of Indian cinema such as Kamal Haasan, Vijay, Ajith, Suriya, Salman Khan and Akshay Kumar to name a few. Asin's debut in Kollywood was M. Kumaran S/O Mahalakshmi, in which she co-starred with Jayam Ravi. Though Ullam Ketkumae was the first movie she signed the movie didn't reach silver screen on time. After the release of Ullam Ketkumae, Asin was cited as a leading heroine of the Tamil film industry after starring in blockbuster films like Ghajini, Sivakasi, Varalaru and Pokkiri respectively. The film which provided the breakthrough for Asin was Ghajini. The film, co-starring Surya and was directed by A. R. Murugadoss, earned her the Tamil Filmfare Award for Best Actress. Rahul Sharma founded the company, Micromax in the year 2000. At present, the company operated from its headquarters in Gurgaon, Haryana. RSharma holds a Bachelor in Mechanical Engineering from the University of Nagpur. Apart from that, he also has Bachelor in Commerce degree from the University of Saskatchewan, Canada. Rahul Sharma currently serves as the CEO of Micromax Informatics. The group began selling mobile phones in 2008, after being a distributor of Nokia phones in India for a while. In 2014, Fortune named Rahul Sharma among their 40 Under 40. When not working, the 38-year-old loves spending his time playing badminton. Sharma's modus operandi of focussing on the Indian youth and tweaking mobile phones to meet their demands saw a warm response in the country. As of today, the brand is the 10th largest handset supplier globally. Rahul Sharma is close friends with actor Akshay Kumar, who is supposedly the one behind hooking him up with Asin. Kumar and his wife Twinkle Khanna were among the first stars to endorse Micromax when the brand had begun selling mobile phones in 2008. 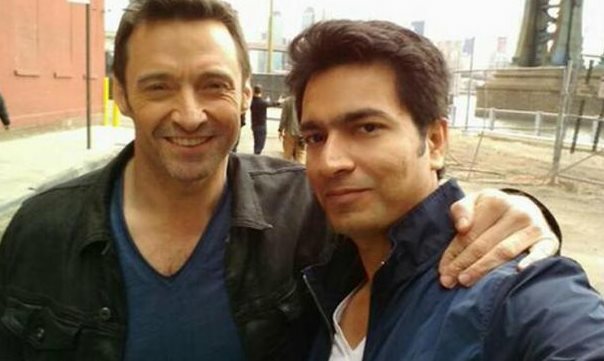 Thereafter, Sharma's company went on to hire Wolverine star Hugh Jackman as its brand ambassador in 2014. There were so many great tamilians actresses (mother tongue tamil and born in Tamil Nadu) had gone over to Bollywood and great Northerner's had accommodated their enormous talents (e.g. Hon.Hema Malini, Hon.Reka,Hon. Vajenthi Mala,Hon.Sri-Devi, Hon.Vidya Balan (who is a tamilian Bramin, but born at Kerala-Tamil Nadu border thus acted in Malayalam movies first). Currently Hon.Madhavan is also in Bollywood. THE TALENTS SPEAK FOR ITSELF, WHICH IS WHY TAMILIANS ARE BY NATURE VERY HUMBLE. Tamilians who are in Kollywood (staying in TN and loving / contributing to their home state) are also extremely talented and industrious. GOOGLE NEW CEO: PICHAI SUNDARARAJAN, TAMILIAN BORN & EDUCATED IN TAMIL NADU and USA, now the new CEO OF GOOGLE. Good example for all great Tamilans/Tamil yongesters. Tamil Nadu has got very natural BEAUTIFUL TOURIST SPOTS. Please develope these dites with more hotels / resthoses equivalent to world star hotels. This would give foreign exchange (new out of country money earned into Tamil Nadu). Its like exporting goods and getting new money into the state / country. This is China became rich country by exporting hoods / tourism dollars etc. DO THE RIGHT THINGS FOR THE STATE WOULD MAKES THE PEOPLE TICH ACROSS THE BOARD. Develope the ROADS (Infrastrures) and develope the coastel areas for tourist spots. If people started working and producing economic activities every one benefits. Tamils are exceptionaaly fair complexion (e.g. Hon.Kamala Hasan & Hon. Ajit kumar) to various other darker shades. I huess whole India is like that with barious shades of browns (faireness to darkness). Going to be fast developing TAMIL NADU should also MODERNIZE the POLICE FORCE (may be by getting some Scotland Yard, UK to come and train Tamil Nadu police. Also Fire fighters and other government services. The only hope in this modern world is to compete with rest of the world and win, thus whats needed STRUCTURAL DEVELOPMENT, HUMAN SKILLS DEVELOPMENT AND END GOAL JOBS JOBS PLUS EXPORTS EXPORTS. TAMIL NADU HAS SO MUCH POTENTIAL TO CREATE JOBS / EVONOMIC ACTIVITIES OF ALL KINDS (including Tourism). Way to go Tamil Nadu: You Tamils have great leaders with "good knowledge of economic development". Any country or state or city or villlage need "job creating industries" for human well being. Also focus on CLEANINESS OF TAMIL NADU CITIES ROADS SIDE WALK PUBLIC PLACES. TN leaders are GREAT. Keep developing Tamil Nadu. Our opinion, you have achieved (at younge age) more than Mohanlal, so why should you bent over to him. In our opinion those people (mainly men) in Kerala may have "big head" for no reasons. Mohanlal was playing side roll in Jilla.